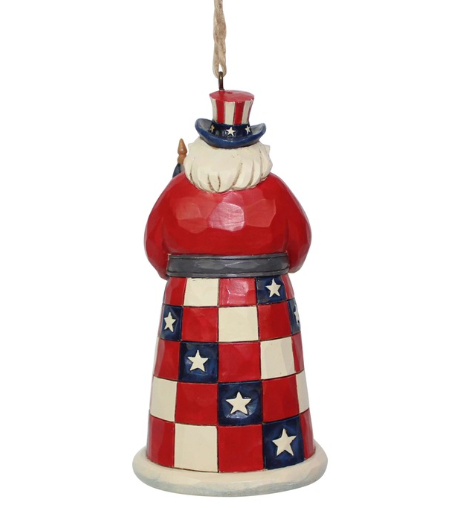 Jim Shore’s Santas Around the World collection shines a light on holiday traditions of cultures near and far. 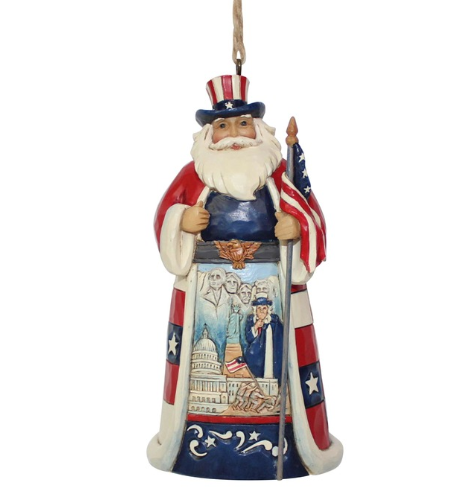 A heartfelt tribute to the spirit of America, Star Spangled Santa features iconic USA symbols, including Mt. Rushmore, Uncle Sam, and more. Jim Shore’s unmistakable style combines a diverse color palette with designs inspired by folk art forms of quilting, rosemaling and tole painting.